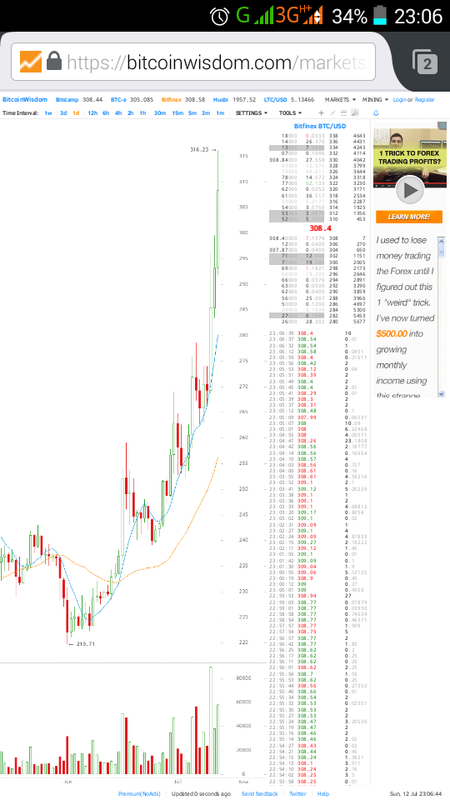 Bitcoin bulls are singing “To the Moon” once again on the news that the price just broke $300 on fears of a possible Grexit. As is common knowledge however, buy the rumour and sell the fact and the fact that a deal for another bailout of Greece is likely, the price has crashed below $300 again. At the time of writing, the price is at 292.43 and many of the analyst are predicting a further fall, some to as low at $200.